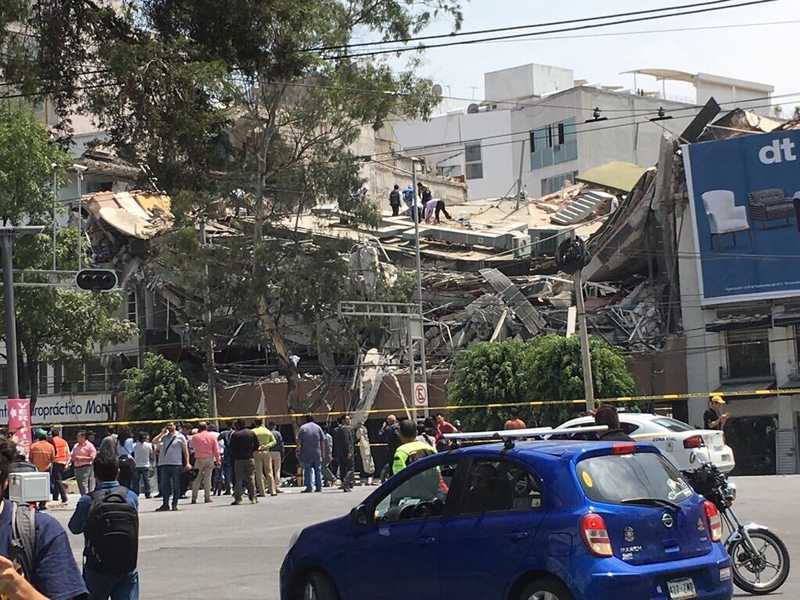 A magnitude 7.1 earthquake has struck central Mexico, collapsing buildings and creating havoc in the capital and nearby communities. More than 225 people are already confirmed dead and those numbers are expected to rise with people still trapped and seeking emergency medical attention. Eduardo Mendoza, country director of Direct Relief, Mexico, is currently with the Mexican Operational Response Committee and he reported that there are major concerns for the state of Morelos. Mendoza reported that a number of hospitals have collapsed and the high urban density and lack of resources make the state exceedingly vulnerable. Direct Relief has offered support to the Mexican Operational Response Committee and an Emergency Health Kit has already been accepted. The EHK is expected to be deployed to a trauma hospital in southern Mexico City in the coming days. The Direct Relief, Mexico team is also in contact with a number of local partners and also with pharmaceutical manufacturing partners within the country. Assessments are still being conducted and Direct Relief will be scaling up its support to partners in Mexico in the coming days.